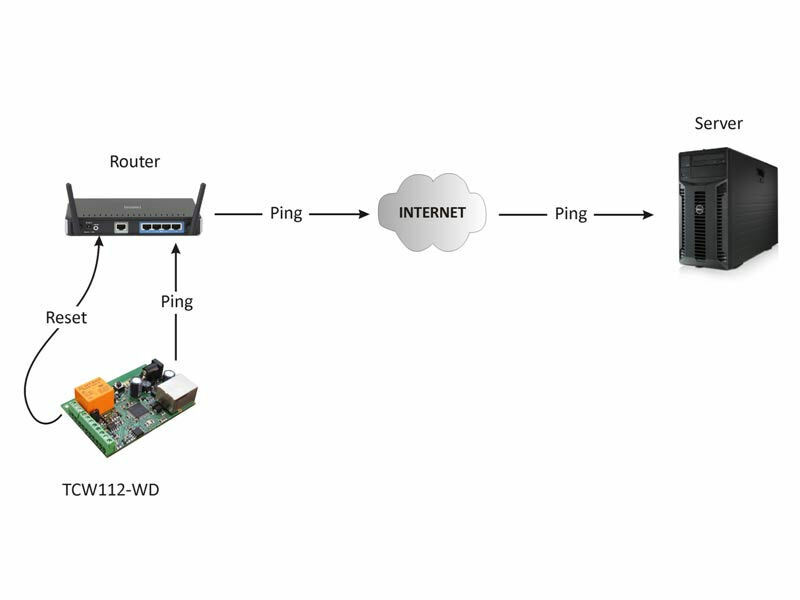 TCW112-WD is an IP watchdog relay board with VLAN and MAC filters support..
Short Description The TCW112-WD can control functionality of IP-based devices and networks by transmitting or receiving respectively an ICMP echo request or ICMP echo reply. If there is no ping, for a previous set period of time, the controller will activate its relay, resetting the targeted device. Such devices, with reset functionality, are also known as a “Watchdog relay”. 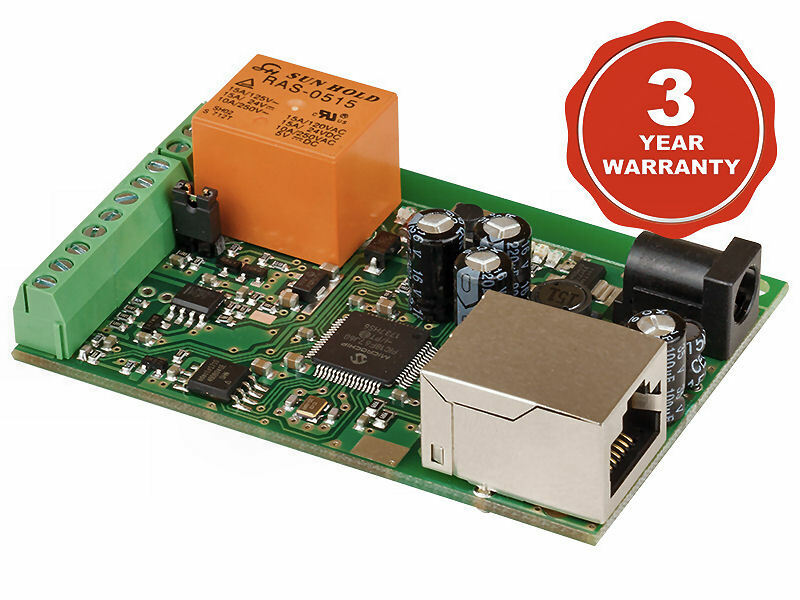 The IP watchdog monitoring board has one digital and analog input. Its relay has normally open and normally closed contacts. The board also utilizes a 1-Wire interface. 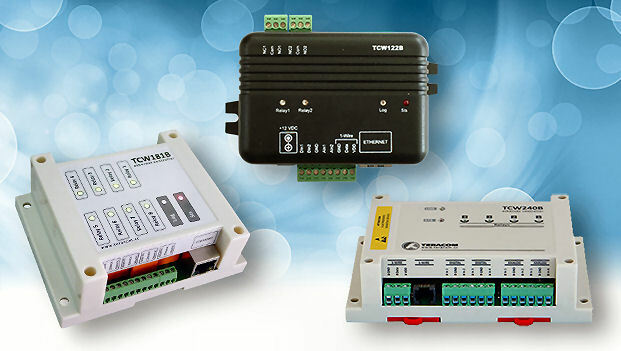 All these, give extra functionality for general monitoring and control of electric and non electric parameters. 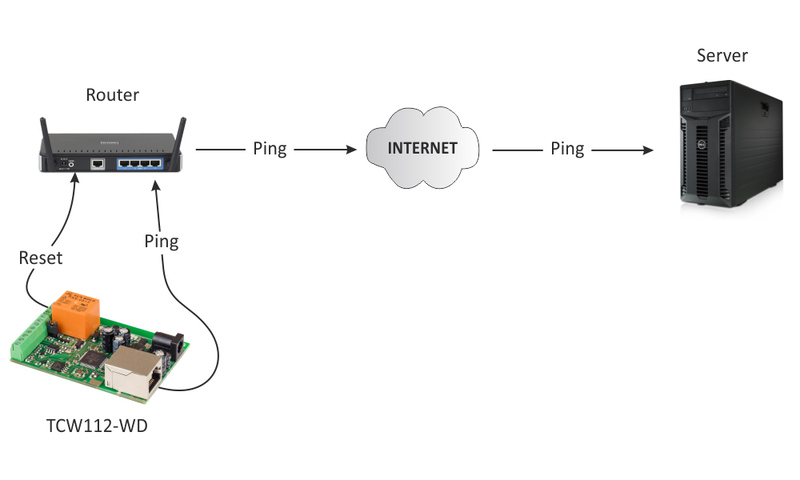 The relay can be activated manually (WEB and/or SNMP) or automatically from a missed ping (ICMP echo request or echo reply).